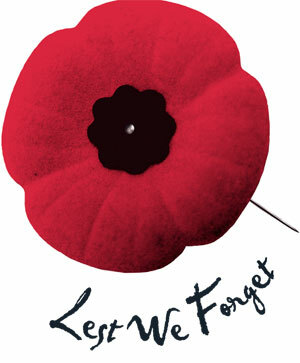 As Remembrance day draws closer our thoughts are drawn to the unsung thousands of our people who have died defending our great nation. This page is a tribute to them. The Reverend David Railton, a chaplain at the Front is believed to have had the idea of honouring the unidentified dead of the Great War. In 1916 he noticed a grave in a garden in Armentieres which had a rough cross bearing the words “An Unknown British Soldier”. 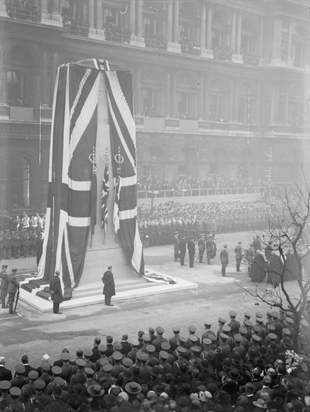 After the War, in 1920 he suggested that Britain honour its unknown war dead officially. Between four and six bodies were exhumed from the main British battle areas in France. The remains were covered with a Union Jack and left overnight in a chapel at St. Pol. Brigadier-General L.J. Wyatt who was the commander of British troops in France and Flanders then selected one. Placed in a coffin made of oak from Hampton Court, the body was transported to Dover on the destroyer HMS Verdun. On the morning of November 11th 1920, the second anniversary of Armistice Day, the Unknown Warrior was drawn on a gun carriage in a procession to the Cenotaph where King George V placed a wreath on the coffin. Within the first week 1,250,000 people filed past the Unknown Warrior to pay their respects to all the unidentified war dead. It is now one of the most visited war graves in the world and is the only part of the Abbey floor that is never walked on.